Pyrotect?s SA2015 Pro Airflow Vortex? Forced Air Tri-Weave Carbon Composite helmets are unmatched by the competition. The Pro Airflow SA2015 Vortex? Forced Air helmets come equipped with a unique six pad interior system to allow for resizing the helmet to achieve a perfect fit to go along with corrugated ridges which allow for better heat transfer. The interior forced air channels were further improved upon, by increasing ventilation pressure and improving airflow to be directed to a critical area of the helmet. Pyrotect's SA2015 Pro Airflow Vortex? Forced Air Tri-Weave Carbon Composite helmets are unmatched by the competition. The Pro Airflow SA2015 Vortex? Forced Air helmets come equipped with a unique six pad interior system to allow for resizing the helmet to achieve a perfect fit to go along with corrugated ridges which allow for better heat transfer. The interior forced air channels were further improved upon, by increasing ventilation pressure and improving airflow to be directed to a critical area of the helmet. additionally, the inclusion of strategically placed ventilation ports around the top of the head provides optimal cooling throughout. The Pro Airflow Vortex? helmets are vacuumed bagged and autoclave cured for superior helmet strength and durability while keeping the helmet as light as possible. 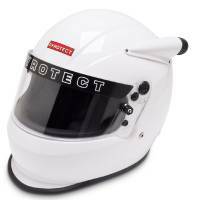 Pit Stop USA offers PPyrotect Pro Airflow Vortex Forced Air Snell SA2015 Approved Helmet 8500995, 8501005, 8502005, 8504005, 8505005, 8506005, 8507005 at low everyday prices. 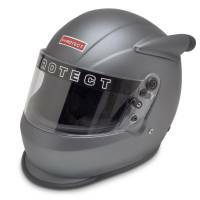 Be sure to check out all of our products from Pyrotect including Pyrotect'snell SA2015 Rated Forced Air Helmets.